When Dave & Marilyn Sabold decided to get into making skin cream, the idea was to keep the business small so that the couple could enjoy their well earned retirement. However, that plan might soon change as demand for Gardner Gardens Beeswax Skincream grows throughout the valley. Already sold in Glover Street Market, Sun Mountain and the Mazama Store, Dave recently made the foray into Hanks Harvest Foods where his product has been selling well. "They've been flying out of there!" says Dave. The Sabolds first began making skincream after they were brought a bag of bees and Dave had to very quickly learn what to do with them. Using a recipe from a chiropractor friend, Dave formulated a beeswax based skin cream that is perfect for anyone who gardens, plays sports or works with their hands. Find out more about Gardner Gardens and where to buy some for yourself. 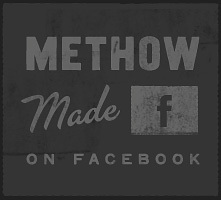 Posted on January 2, 2014 by Methow Made.